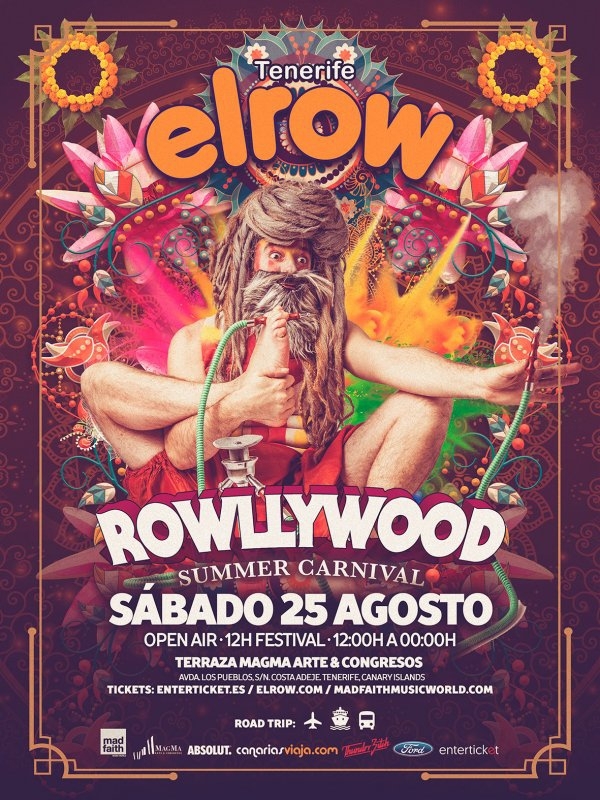 Get in the party spririt this summer party at the Elrow festival Tenerife. The theme will be the XXL, version of Bollywood, called Rowllywood, a first for the world famous Elrow event. So get your glad-rags on and prepare for music mayhem on Saturday 25th August on the open-air terrace of the Magma Art and Congress Centre (that concrete-slab-looking building below Siam Park).